McNulty’s Transport provides a wide range of bulk cartage & freight services. Cartage of aggregates, concrete panels, machinery, shipping containers and building supplies throughout Central Otago - Cromwell, Clyde, Wanaka, Alexandra and, Queenstown. As well as cartage and delivery of bricks, blocks and pavers in the Otago and Southland regions as well. Make sure that your goods are safe, secure and get to their destination on time. 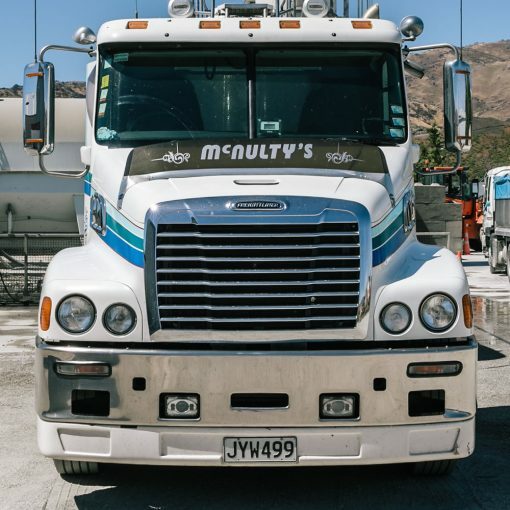 As a third generation business, you can rely on McNulty's Transport's extensive experience and reputation for excellence to provide you with professional transport services. Our experienced staff, modern equipment and vehicles ensure that you will get the very best transport and haulage solutions. We operate throughout Otago, Southland and beyond. We pride ourselves to ensure that your goods are safe, secure and get to their destination on time. McNulty's Transport's has been a family owned business for over a 100 years. 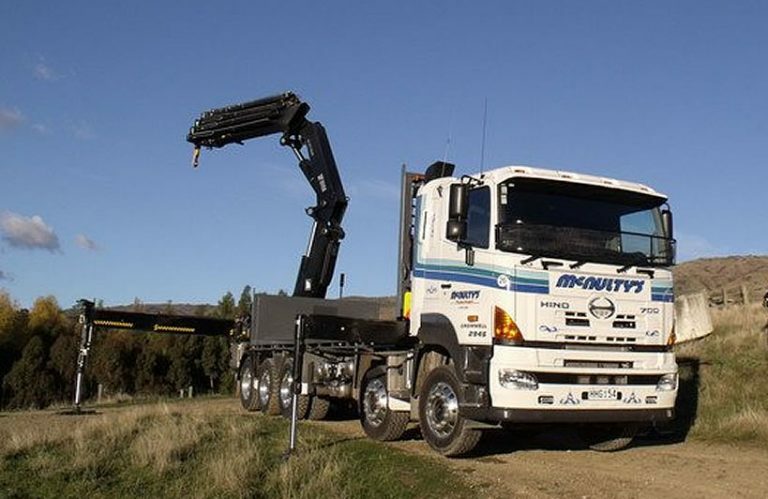 We have the largest Hiab truck in Central Otago and a great selection of modern and reliable vehicles and equipment for hire. Our areas of service include Otago, Clyde, Wanaka, Alexandra, Queenstown, Dunedin and Cromwell. We provide transport services locally throughout the region and nationwide for commercial, domestic and industrial clients.